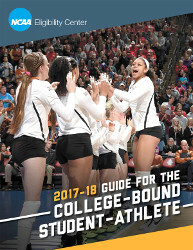 Read the NCAA Guide for the College-Bound Student-Athlete! Click on the image below to download a free PDF or order a paper copy directly from the NCAA. HERE ARE A FEW SITES AVAILABLE TO HELP YOU UNDERSTAND AND ENGAGE IN THE RECRUITING PROCESS. SOME REQUIRE A SUBSCRIPTION BUT MANY ARE FREE. It all starts with eligibility. The NCAA has created a site to help Prospective Student-Athletes and their families understand the academic requirements for playing college sports. The NCAA’s Eligibility Center is the next step in preparing for recruiting. This site is vital for you to demonstrate your eligibility and academic progress. Any NCAA Division I or II school will ask you if you have registered with the Eligibility Center before they recruit you. College Scorecard is a site created by the US Department of Education that shows information about school cost, graduation rate, average graduate salary, and more. It is hard to get a feel for a college campus by just looking at pictures online so CampusTours built a site that has video tours and other interactive tools. The Princeton Review provides some college search tools. While the site is free, they do have “featured schools”, etc. which suggests that schools can pay to show up in your results. They are also looking to sell you on their test prep classes. If you know you’d like to study business, then look at Bloomberg’s “Best Business Schools” list. The site does provide lots of data about how they build their list but no way to drill down on the schools themselves. Scholarship Stats – Information about scholarship opportunities at schools of all levels as well as a summary of the chances of competing at the college level. 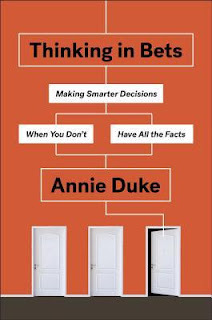 Estimated probability of competing in college athletics - Information about competing in sports at an NCAA school after high school. This is more narrow than the previous site because the data only come from NCAA schools (no JC/CC or NAIA) but they are valuable because they come directly from the NCAA instead of a third party. Here is an article that recently appeared describing research on Colorado high school athlete participation in college.